I was honoured to be approached to write for them and so far, it has been quite the journey. Following a number of digital issues, they successfully raised enough pieces of paper with the Queen's visage on (via Kickstarter) to get the printing press whirring into action. Following a magazine launch party in Brighton, which I was sadly unable to travel to, I'm delighted to report that Issue 2 is out this coming Monday 2nd March! Issue 2 is quite special as I acted in the capacity of copy editor for this edition of the magazine. It was jolly good fun! I’ve edited a whole heap of magazines as part of my humdrum 9-5 but these articles were much more my cup of tea! 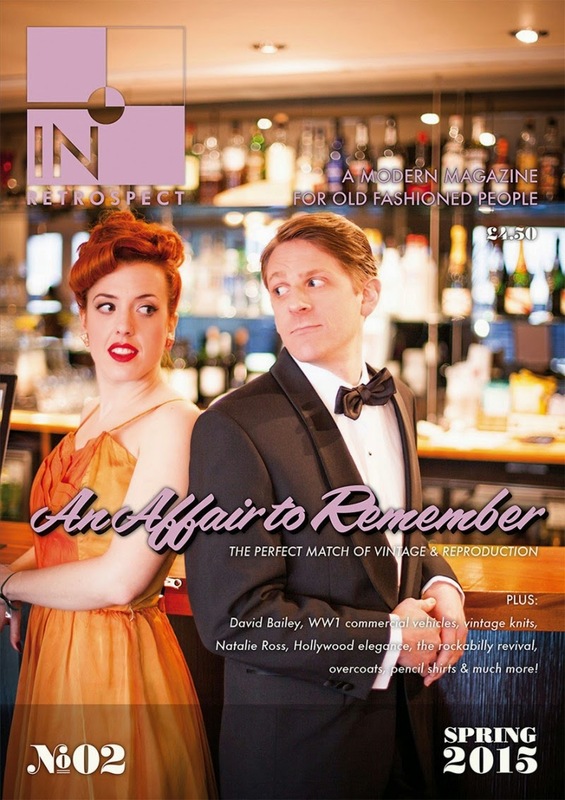 I have two articles in this issue covering subjects involving Salvador Dali, love and overcoats. One of them includes some super illustrations too. In Retrospect is available to pre-order or you can save yourself the bother of remembering to buy each magazine every three months by biting the bullet and subscribing to the thing. You know it's the decent thing to do. Lots of wonderful contributors have put pen to paper for your reading pleasure including Gemma from the fabulous Retro Chick, the lovely Ava Aviación, Mim from Crinoline Robot and my good chum, Bruce Partington-Plans over at Eclectic Ephemera. It is positively brimming with splendid stories to read and digest. In order to tempt you to buy the whole magazine, there are some teaser articles on the In Retrospect webular site. Anyway, I'm off to plot and scheme so I'll see you next week. Toodle pip!